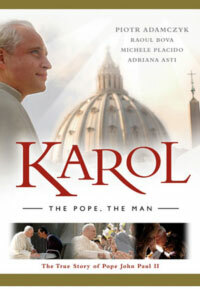 Focusing on his Papacy and the tremendous impact Pope John Paul II had on the church and the world. The powerful true story of how this spiritual leader helped bring down Communism and reached out to other religions and world leaders with a message of peace and love. Co-Production: Taddue Films and Capri Films Inc.